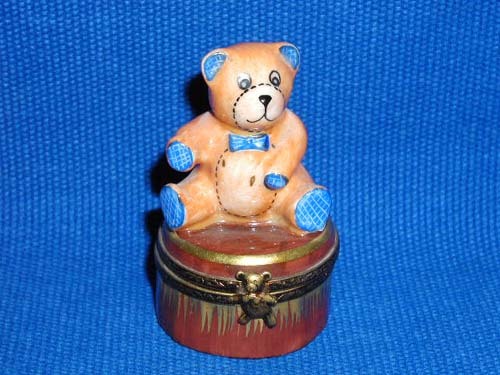 TEDDY BEAR ON BROWN BASE - Limoges Boxes and Figurines - Limoges Factory Co. This limoges box is shaped like a tiny hat box. 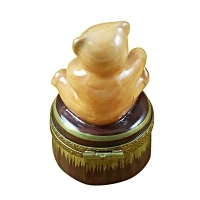 It is painted in brown and gold. 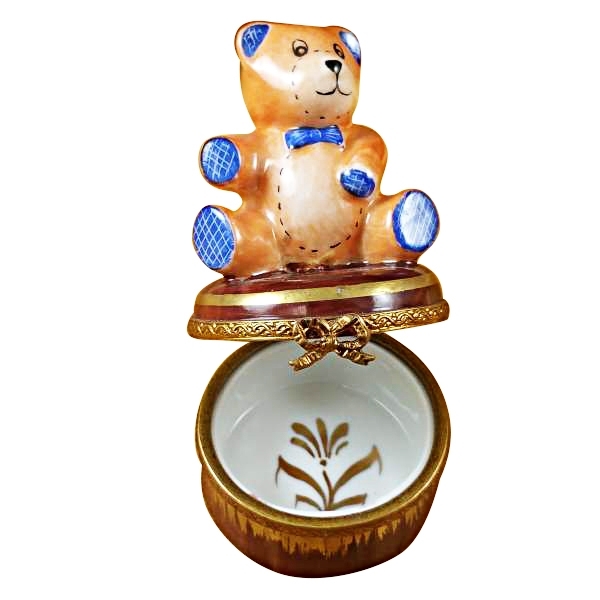 You can use this limoges box to hold some keepsakes. This can be used to hold your child's first lock or tooth or even his/her ambilical cord. 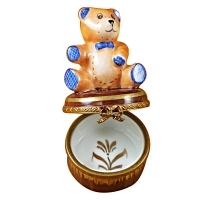 The charming Teddy figure on the lid of the limoges trinket box makes it all the more endearing.